South Africa is one of the most fascinating countries to visit in Africa. The wonderful game parks, the enchanting beauty of the nightlife, vineyards and of course the wonderful mix of people from different races. Nigerians represent a significant percentage of people who visit South Africa on a yearly basis. Although a lot of Nigerians travel to school, find a new work or even a new life, others travel to sight see, visit family and enjoy the environment. For Nigerians willing to travel to South Africa, the major requirement is a passport, without a valid passport, you may not even be able to apply for visa. However there are several other documents and steps to follow to apply for a South African visa. This guide will provide you with a comprehensive breakdown of all necessary steps you need to take to successfully obtain your South African visa from in Nigeria. The short term visa types issued to individuals travelling to South Africa include those that do not allow the applicants stay in the country longer than three months. It is not permissible for an applicant visiting on a short term visa to change to a long term visa during their visit or overstay the duration on their class of visa. The short term visitor visa allows for a temporary residence permit but does not allow the visitor to engage in any form of employment while in South Africa. As soon as the visa becomes invalid, the visitor must return back to their country. However, it is possible for a Nigerian to study during a short stay visit as long as it remains within the period (usually ninety days) for which the visa was issued. Short term visas include visitor’s visa, visas issued to applicants pursuing certain classes of business or attending trainings, conferences, interviews, meetings or those seeking medical care at private hospitals within South Africa. Short term visa is also issued to tourists and those travelling to visit relatives for a short period. This class of visa includes those issued to applicants whose purpose of travel to South Africa is for long term business venture, study, medical treatment, general work and those seeking permanent residence. The long term visa is also issued to applicants travelling based on intra company transfer and exchange. The validity period of the long term visa is usually between three to five years and allows the holder to engage in employment while staying in South Africa. Note that if you intend to travel to South Africa on a mission rather than just visiting, you must apply for a visa type in the appropriate classification. A visitor visa may not be may not be used for a study or business visa so you must be careful. It is very important that I prepare your mind for the task ahead. Applying for a South African visa may be a bit of an arduous task but with a comprehensive guide, it can be made simple. It is a relatively straightforward process that you can carry out yourself. Some applicants usually prefer to contact visa centres for help with visa application but if you would otherwise do it yourself (which I recommend), worry not, this article will provide you with all that you need to know and do. Before you pack your bags or even start preparing for your journey, you are highly advised to determine your eligibility to travel. This is the most important step of your visa application. It would be a total waste of time and possibly money if you commence application and later find out that you are not eligible. There are certain conditions that must be met and documents to be prepared before any Nigerian is allowed to visit South Africa. Previous passports as well as past visas and existing visas, if applicable, to show your travel history. Note that your passport must consist of your data page. Proof of internationally acceptable vaccination: you must make available a yellow fever vaccination card endorsed by an acceptable medical practitioner. Possession of adequate funds to ensure your smooth stay in South Africa. The immigration officer must be convinced you can take care of yourself while in their country. You will need to provide proof of funds in terms of a bank statement of your account with history for at least six previous months. 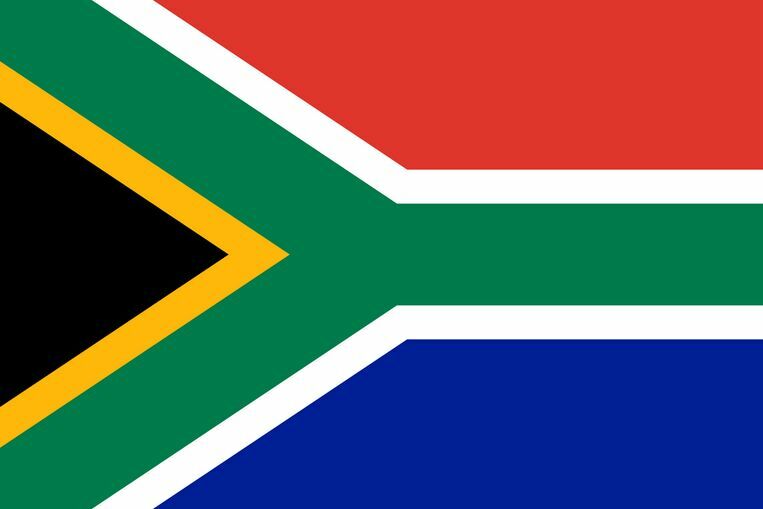 A proof of sponsorship from your host in South Africa may also be acceptable. Possession of complete requirements that are needed to be tendered at the Visa Application centre. These include your visa application form usually referred to as the Form B184 (note that this must be completed using black ink only), evidence of payment of visa processing fee, your original passport and so on). You will learn more about these shortly. Hotels you booked and addresses: this must be done by the applicant directly. Hotel bookings are not allowed to be done by agents or through a third party. An itinerary showing your provisional airline bookings. A letter or evidence of invitation from a person living in South Africa that you will be meeting. This letter should include the dates of your visit, the period of stay and the purpose of visit. You also need two identical passport photographs. Ensure that these meets the correct specifications ( 45/45 mm) and you sign at the back of each. Important Note: Please make available original copies of all documents and also clear photocopies for reference purposes during your visa applications. After you have determined your eligibility to travel, the next step is to complete your visa application form. To apply for a South African visa, you have to download your visa application form and then fill it completely and correctly. Ensure you sign as necessary and maintain a regular signature throughout your application process. Important note: Your visa application form should be filled using black ink only. Do not alter of misplace your visa application form. Also, be sure to follow all instructions on the form carefully. This will help you to successfully complete your application form without errors. It is highly recommended that your application form should be filled and printed on a white, bond quality, non-glossy paper using a laser printer. After you have downloaded and filled your visa application forms, there are certain fees to be paid. The Visa fees: the visa fees vary for different forms of visas so ensure that you are paying the correct fees for the short term visa for which you are applying. Currently, the holiday visa application fee is NGN7, 071.00. You can check for more information on visa fees here. You are expected to pay both your visa fee and service charge at the bank teller of your visa application centre using cash. The visa fee is charged based on the current Nigeria exchange rate. It is possible for rates to change therefore be sure to verify before making payments. For applicants applying from Port Harcourt, the service charge is NGN45, 200.00 and can be paid only at the Sterling bank branch located at Woji road, GRA, Port Harcourt. Period of submission is from Monday to Fridays between 8am and 3pm daily. Note that these fees are to be paid at the cash counter of the South Africa Visa Application Centres and only cash payment is accepted. Therefore ensure you go along with enough funds. NOTE: It is very important that you collect your receipts after payment of fees. Do not leave without an evidence of payment. Also be informed that both the visa fee and the service charge are non refundable whether your visa is approved or not or even if you decide to withdraw your application. Now after making necessary payments, you may submit your application documents and the receipts/proof of payments of all fees paid. These include the visa fees and service charge. You are expected to gather all the aforementioned required documents and visit the nearest visa application centre for submission. The submission should be done personally and not through a third party. The different application centres accepts application on different days and times. Ensure you visit the website to check for appropriate timing to submit your application. You can check for appointment booking and timing by clicking here. Important Note: Currently, the period of submission is from Monday to Fridays between 8am and 3pm daily. Step 5: Follow up and Track your Application status, then wait. Once you submit your application, you have crossed a major step of your application process. The next step now is to start tracking the status of your application. You must ensure that you keep an eye and follow up on your application process. It is easy to do, just click this link. You will be expected to fill in your reference number and your date of birth. After this, all you have to do is wait a while. This is one point where your patience is tested. It takes a minimum of six(6) days to process a South African Visa although this may vary from individual to individual as each application is treated independent of the other. Once your documents are approved, you will receive a notification to submit your passport. Congratulations! This is the final step in obtaining your South African visa. 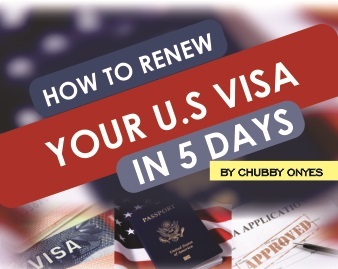 As soon as the embassy is done and your passport is ready, you will be contacted. You can choose to personally go and retrieve your passport at the South Africa Visa Application Centre or have your passport mailed back you (if you had earlier submitted with a self-addressed courier). How much is US Visa Fee in Nigeria Today?